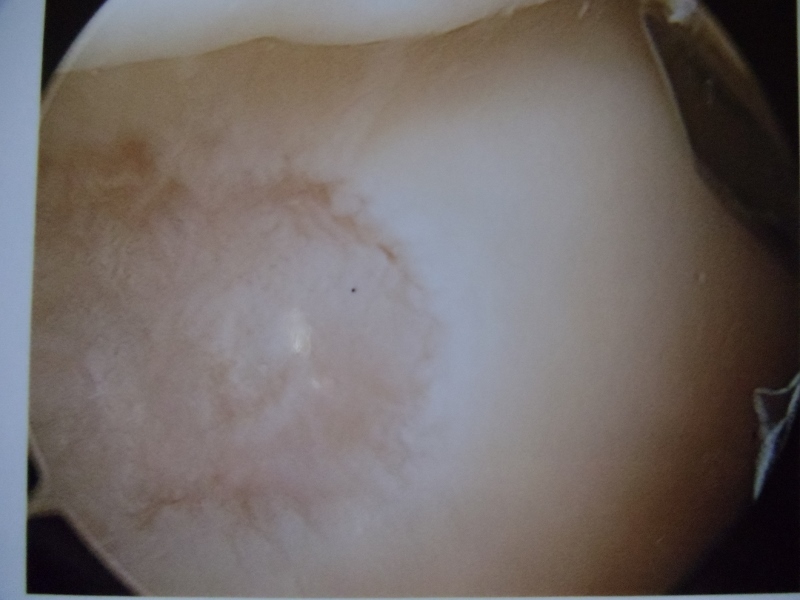 Pics of nodules removed during scope. 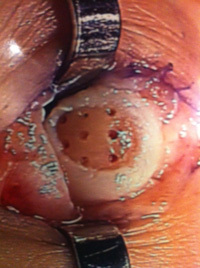 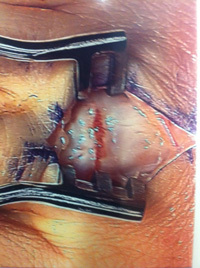 A separate incision had to be made to remove the nodules due to the size. 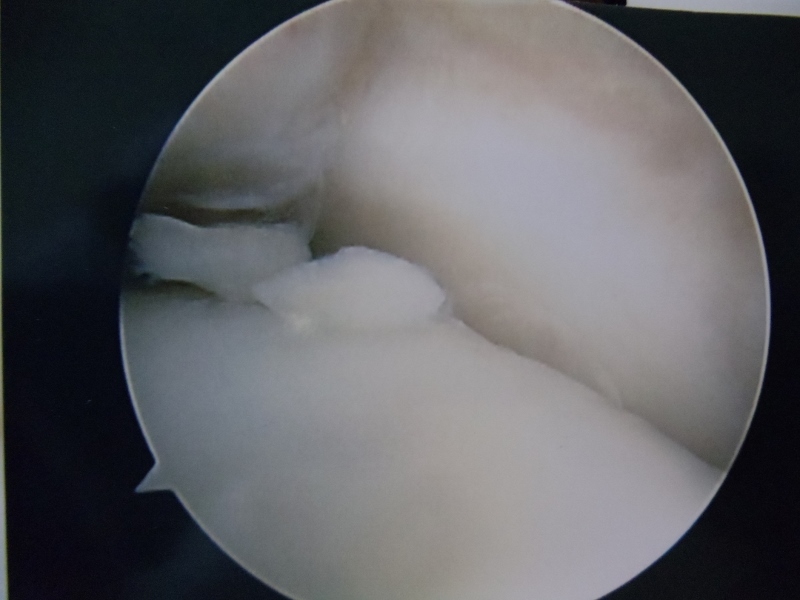 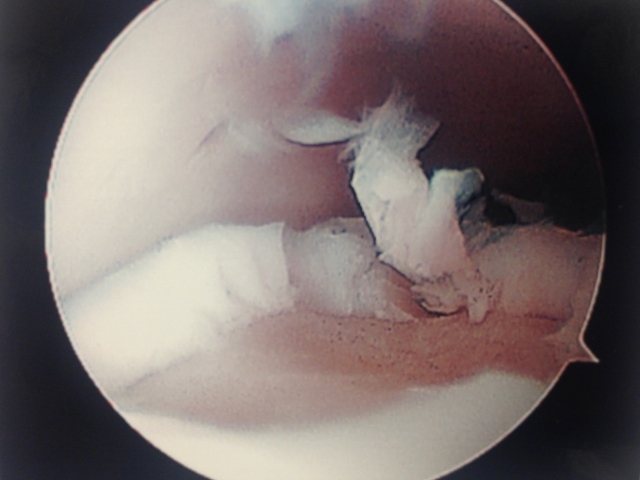 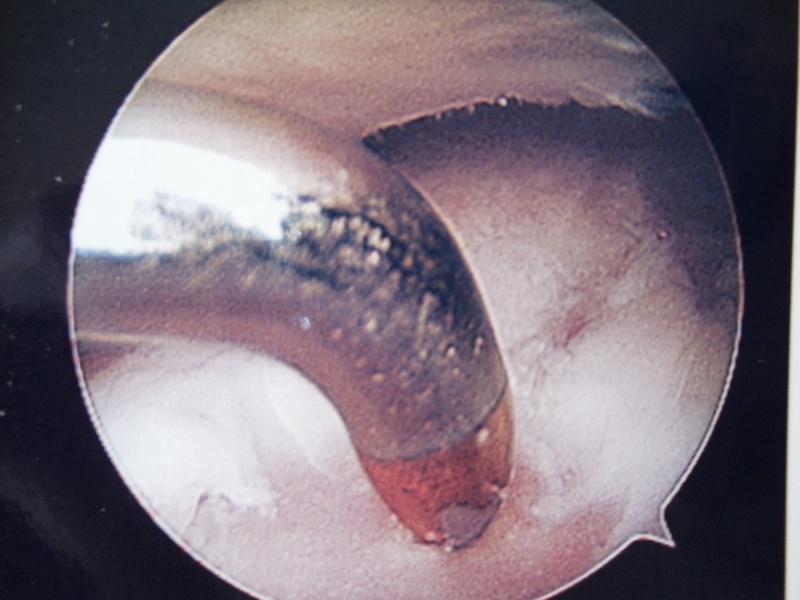 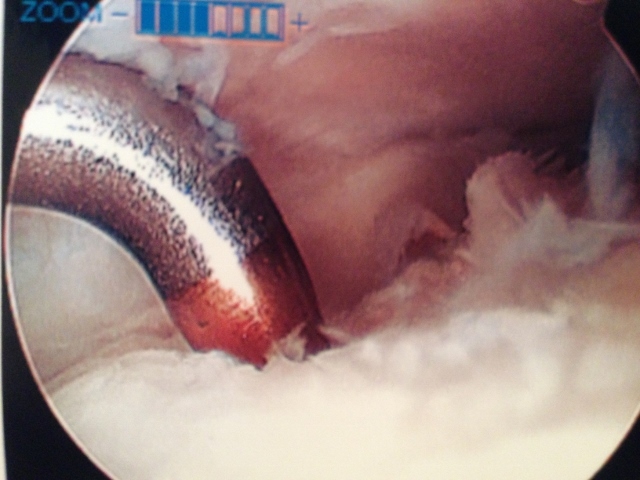 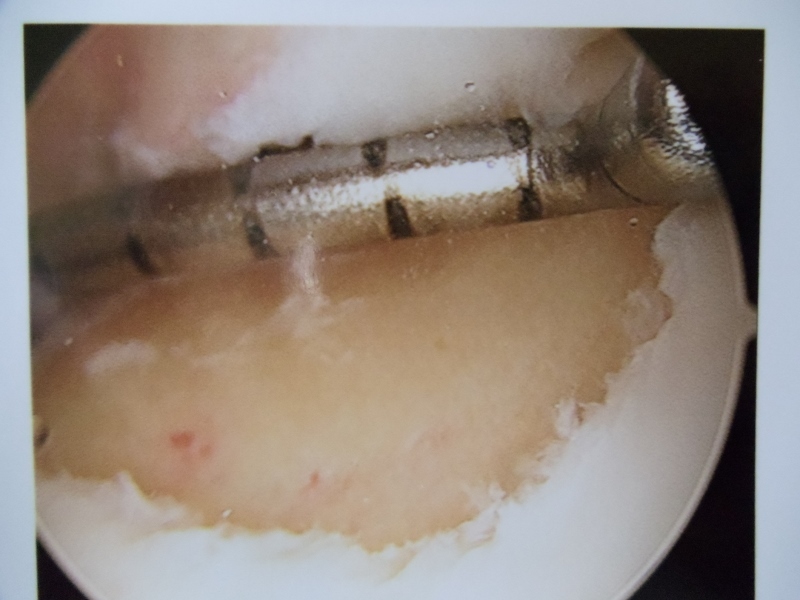 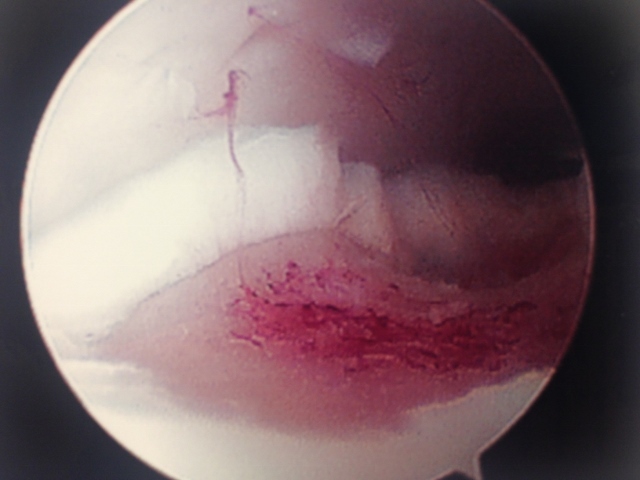 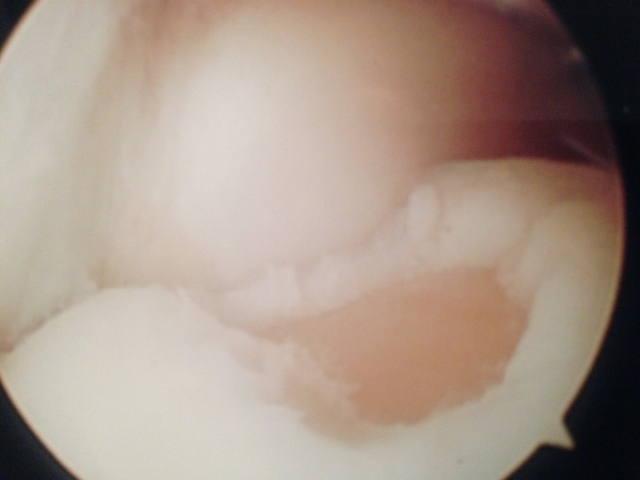 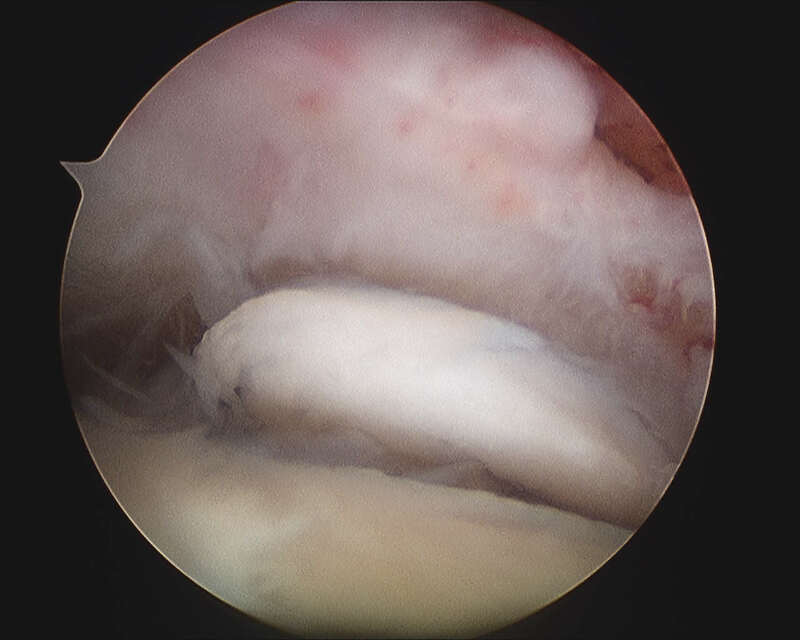 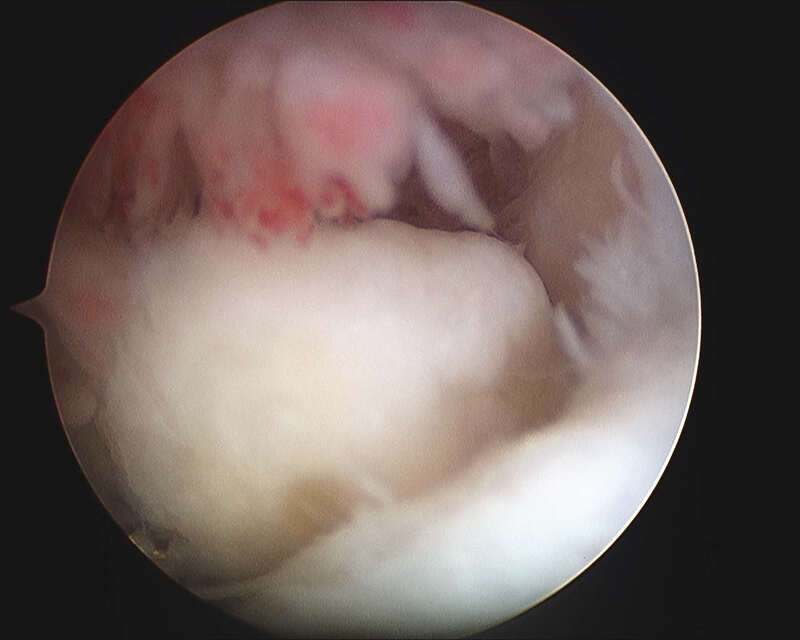 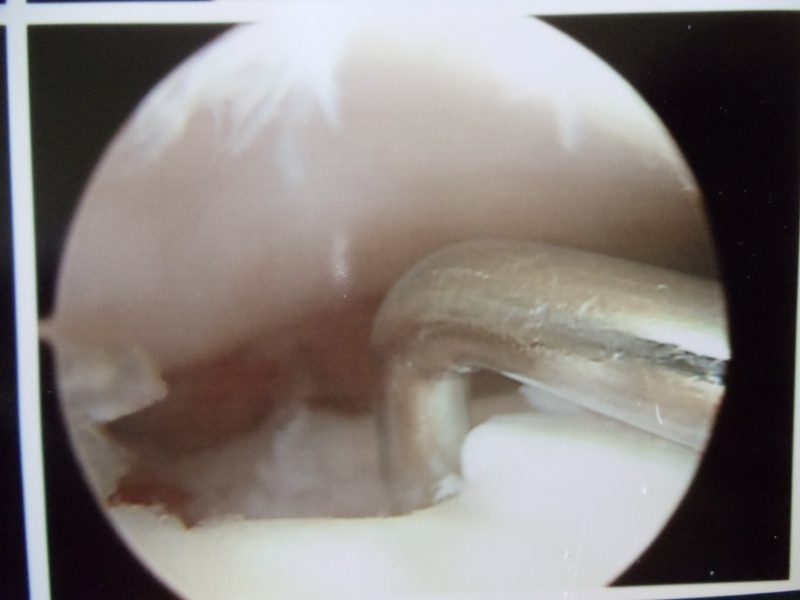 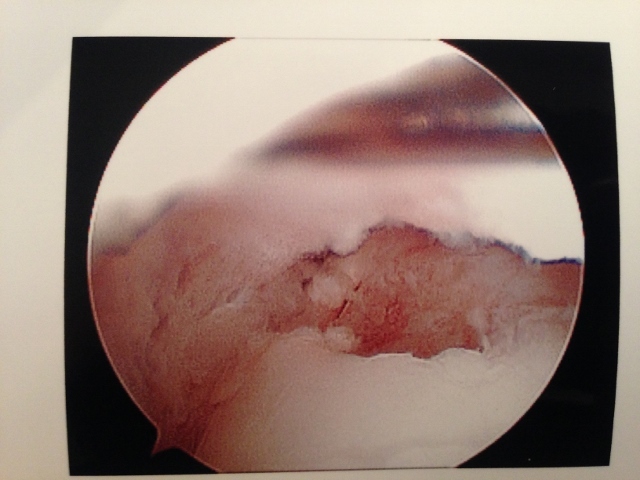 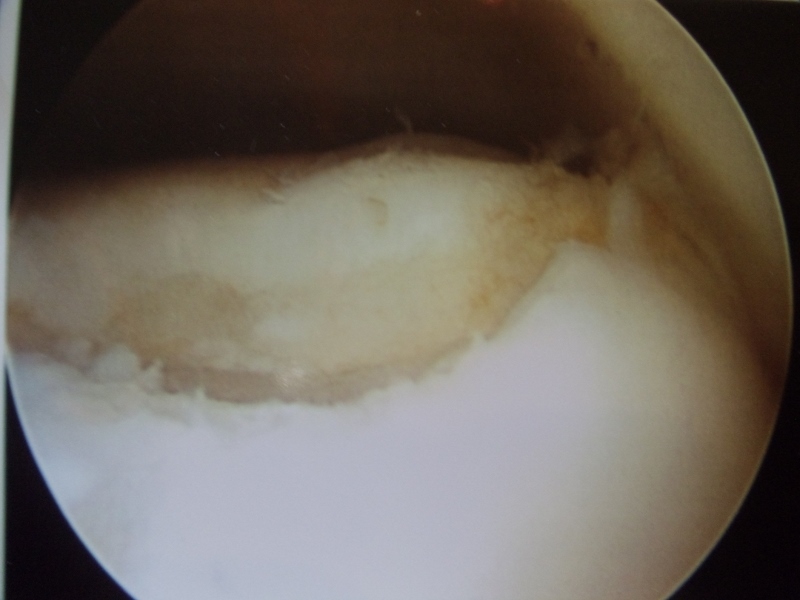 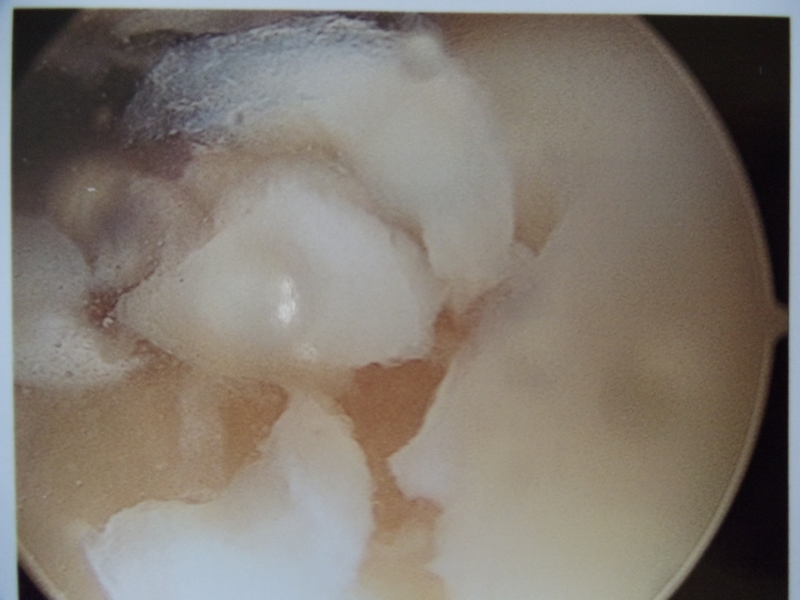 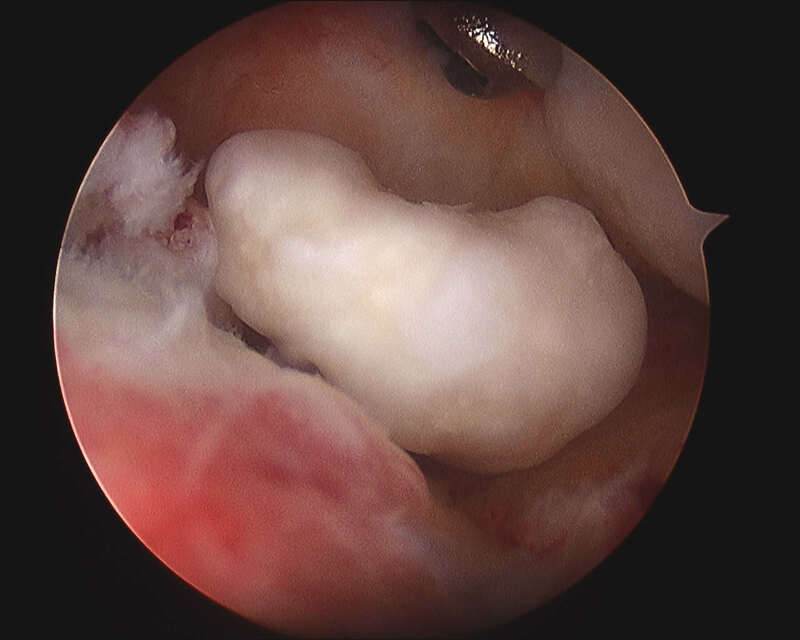 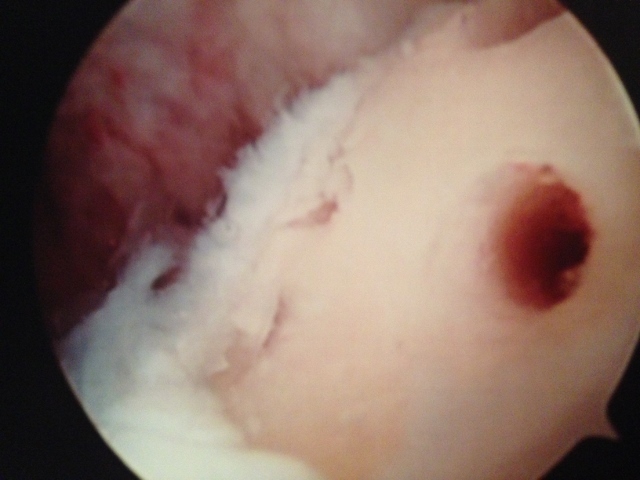 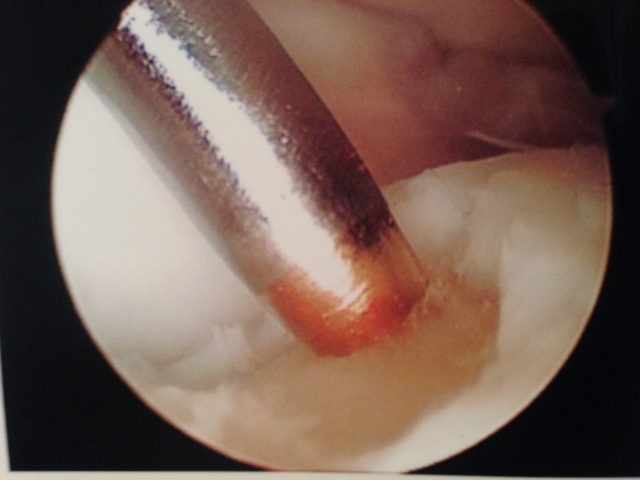 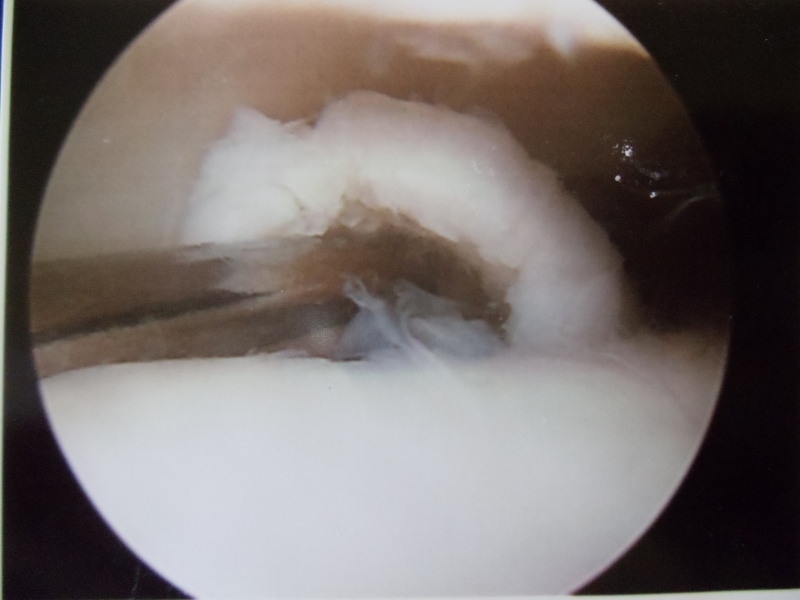 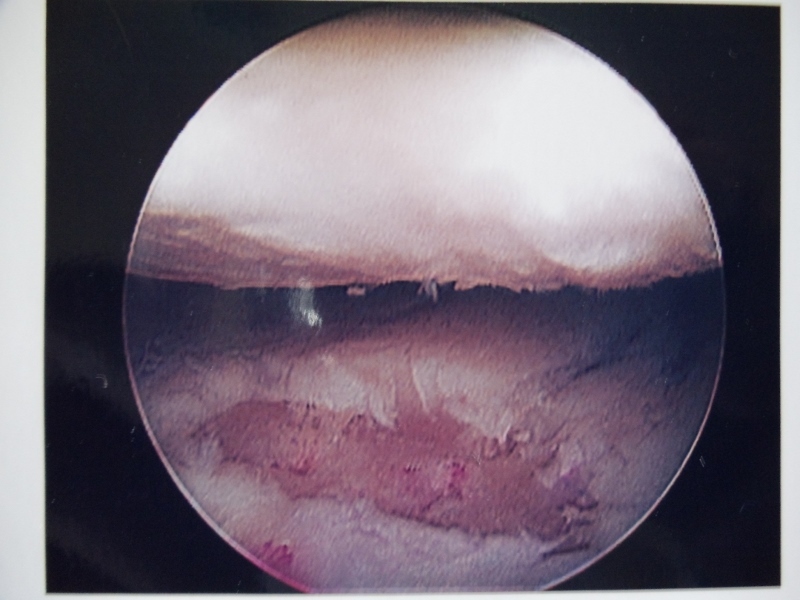 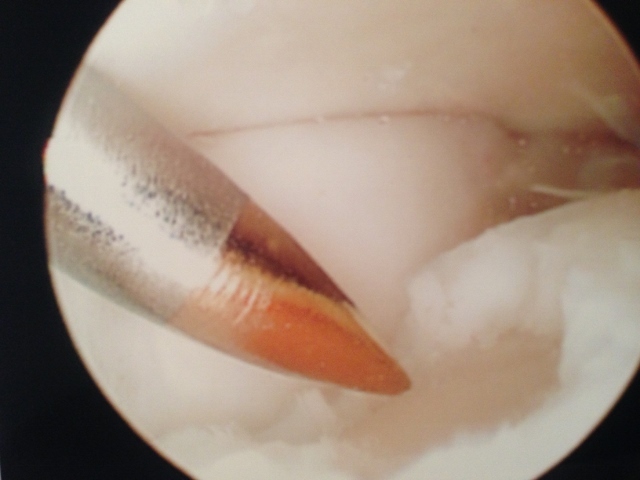 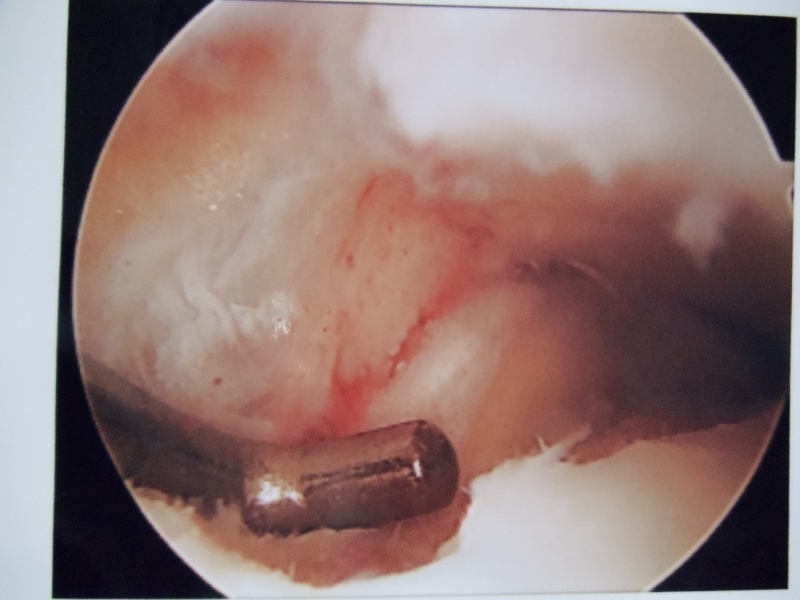 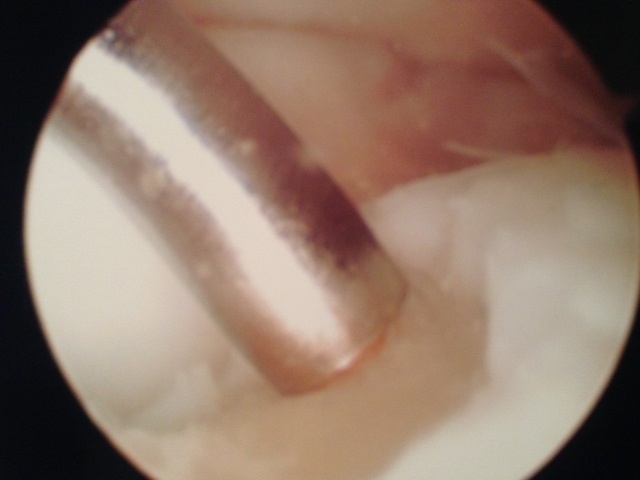 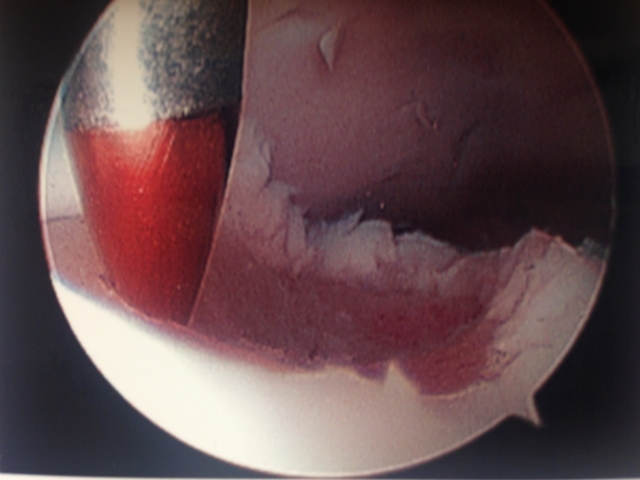 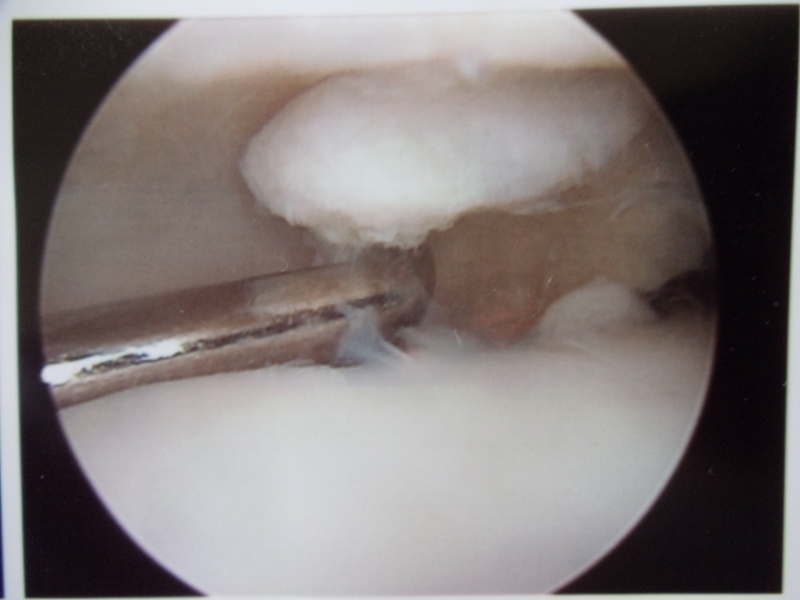 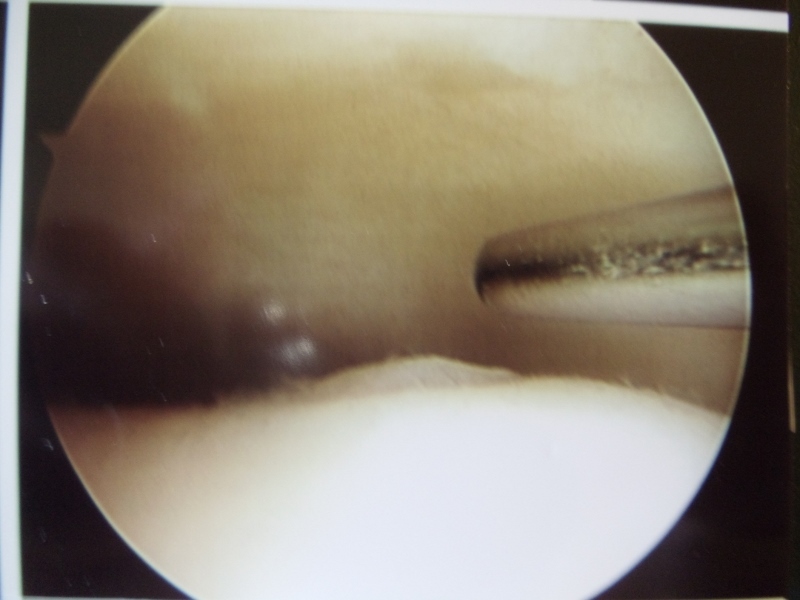 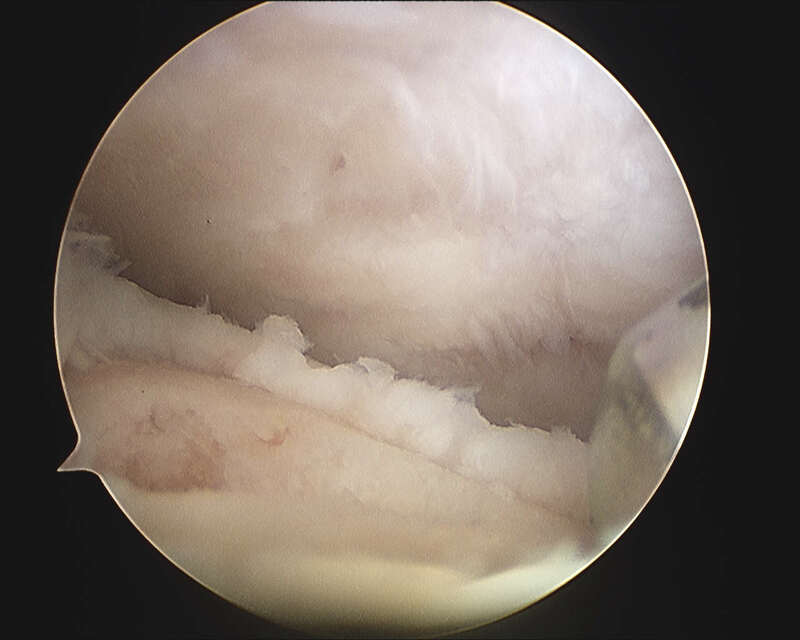 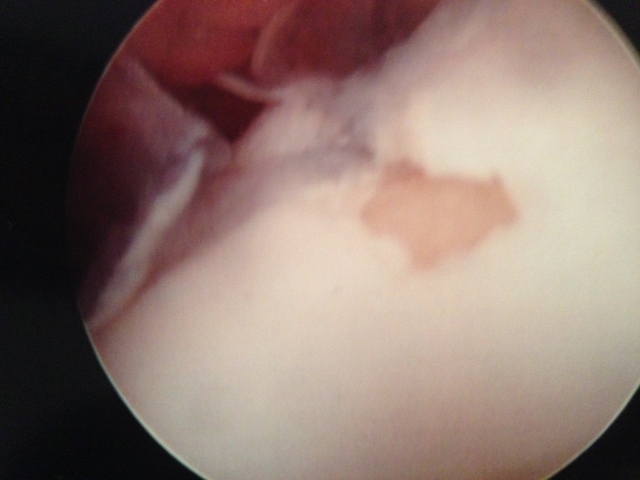 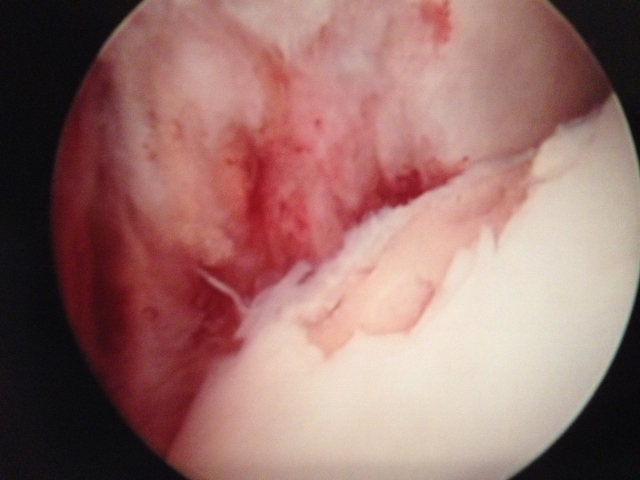 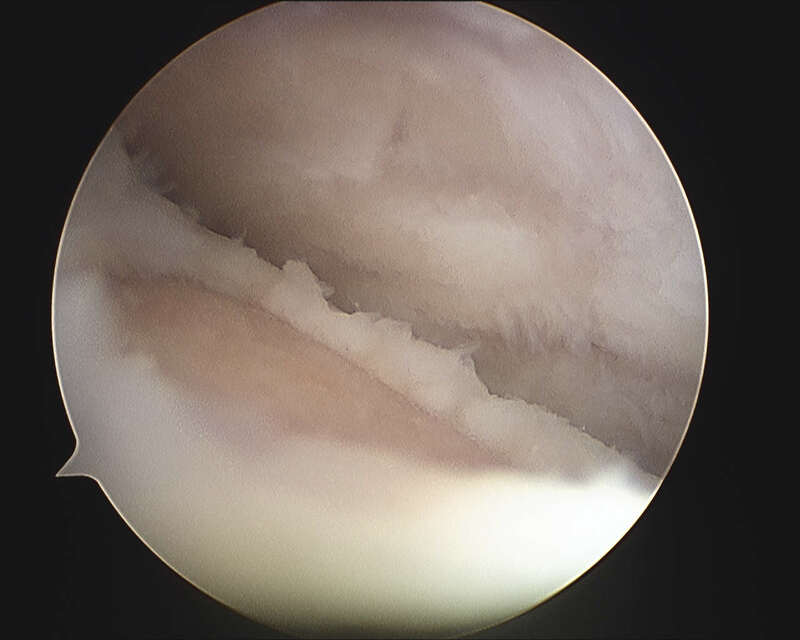 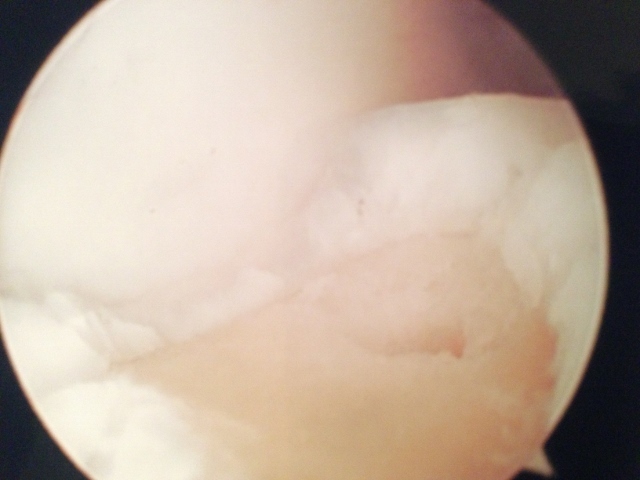 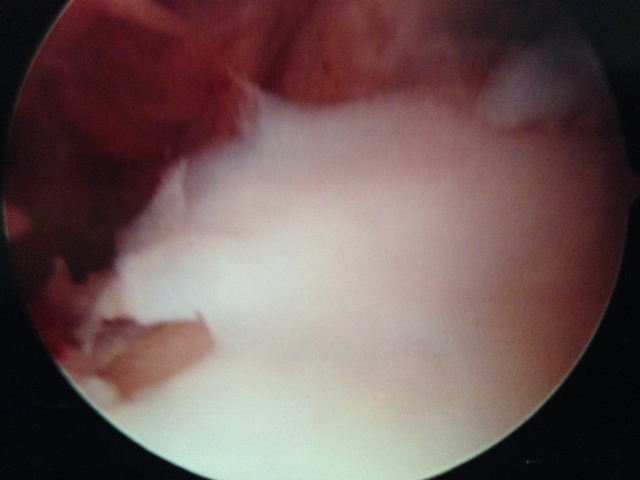 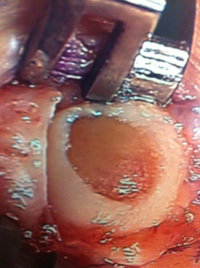 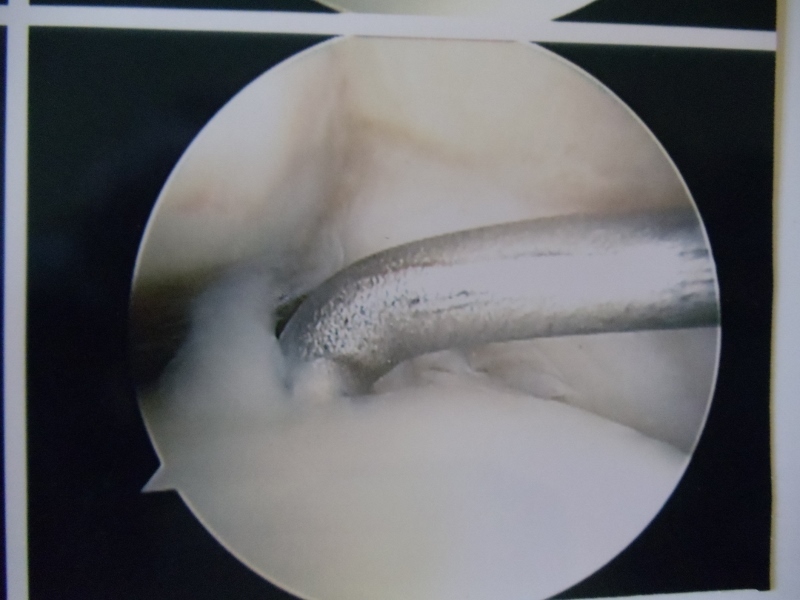 Intraop arthroscopy pic of OCD afer debridement and during microfracture. 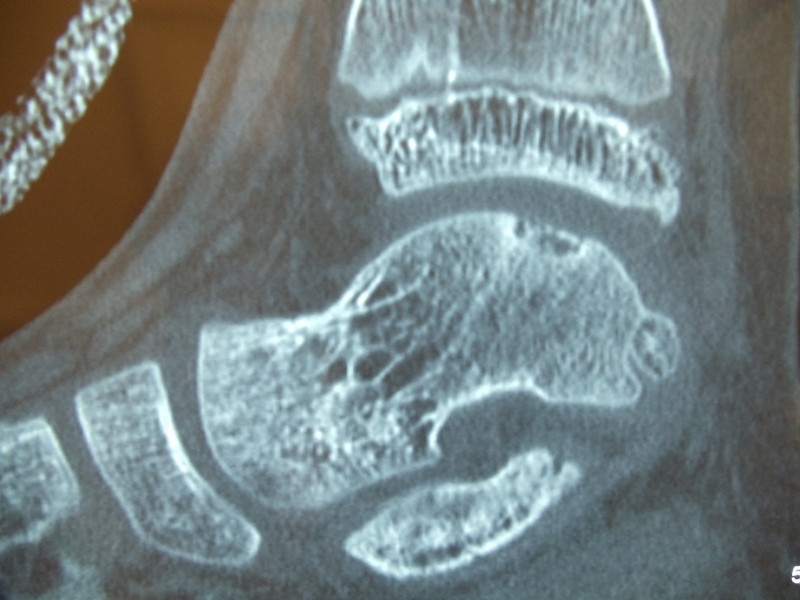 Intraop pictures of OCD of the talus after debridement and during microfracture. 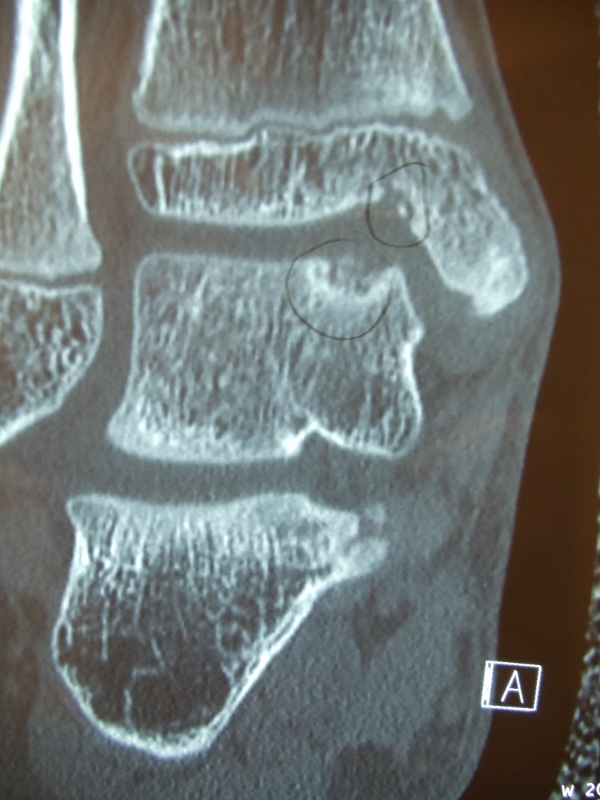 OCD before and after microfracture. 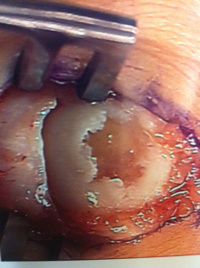 Pic of OCD after preparation and debridement . 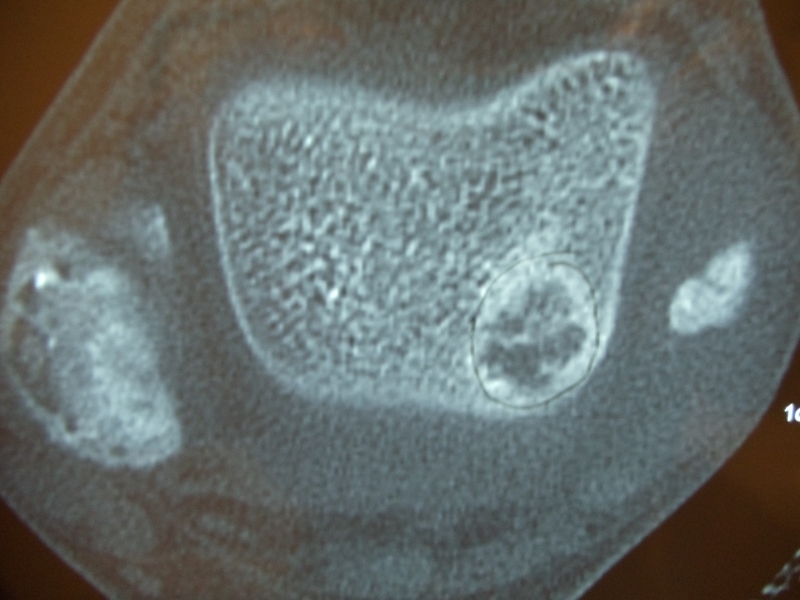 Measuring the size and depth of the OCD. 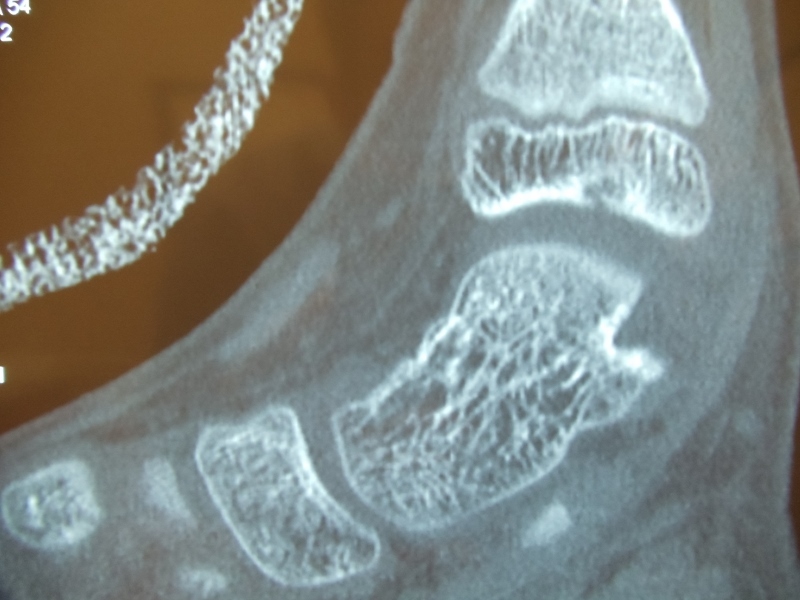 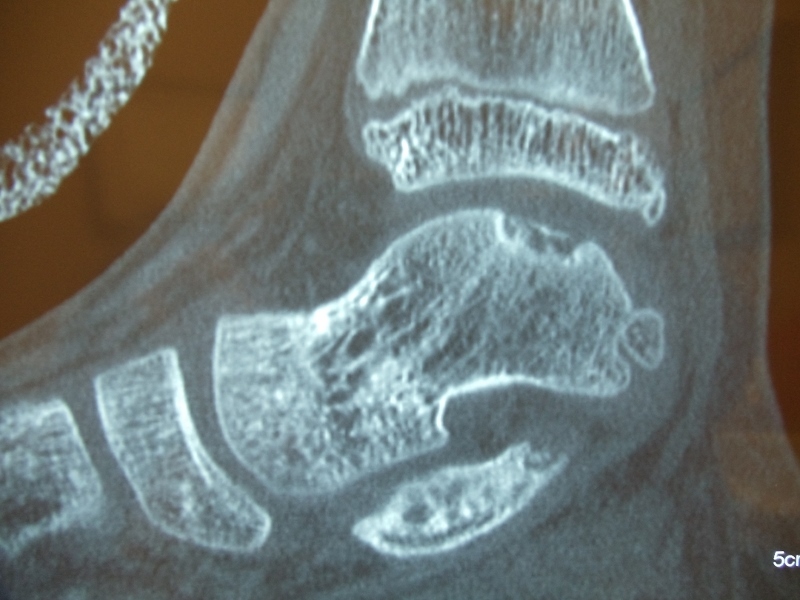 Action shot of microfracture of talus OCD. 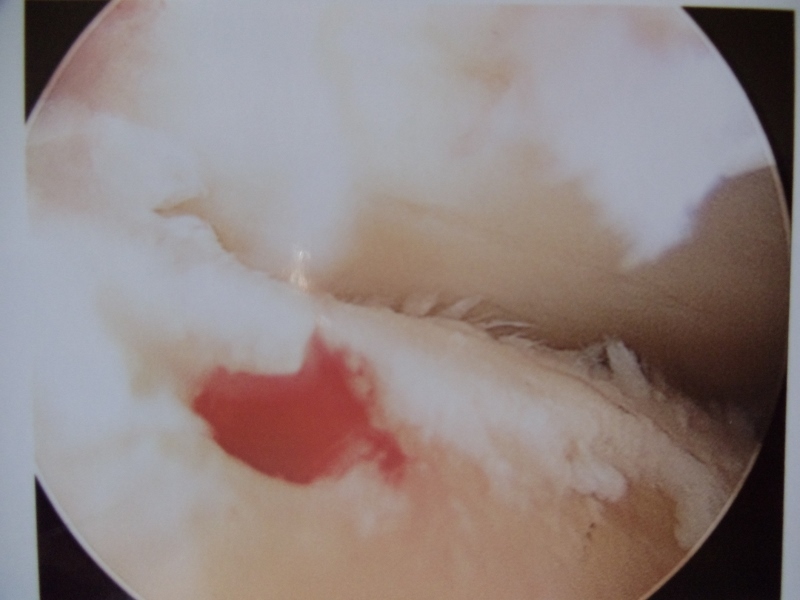 Bleeding of OCD after microfracture. 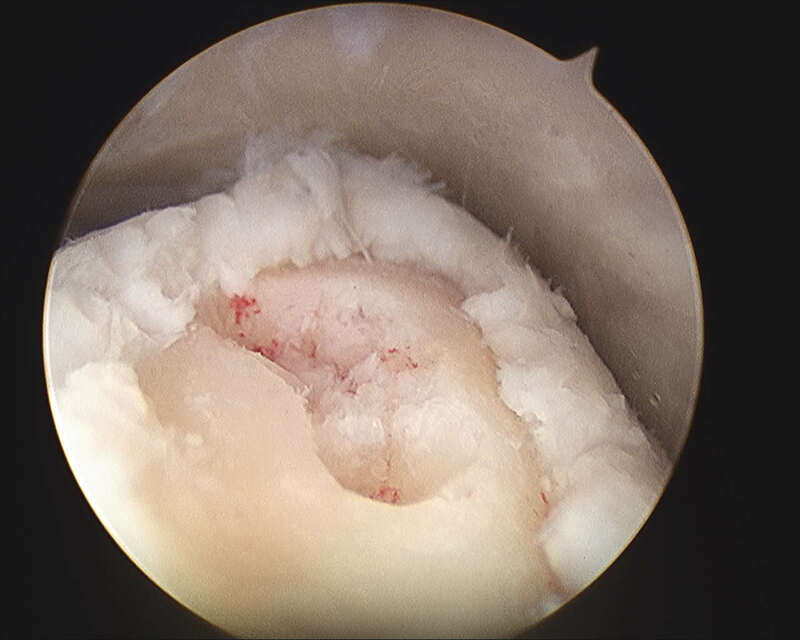 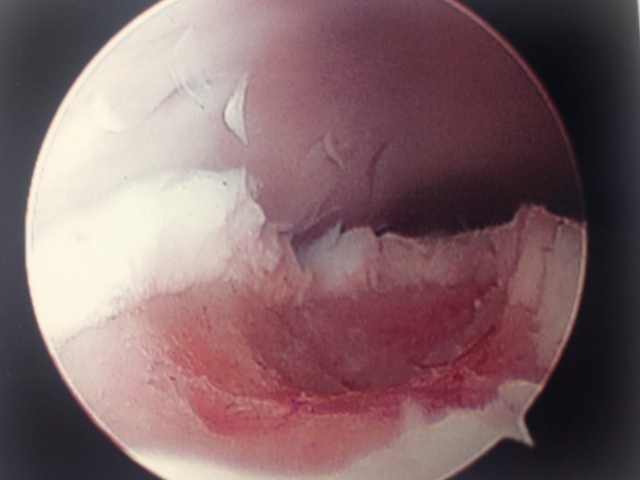 There is damage to the articular surface cartilage which can occur either from an acute injury or more commonly after repetitive injury and/or wear and tear. 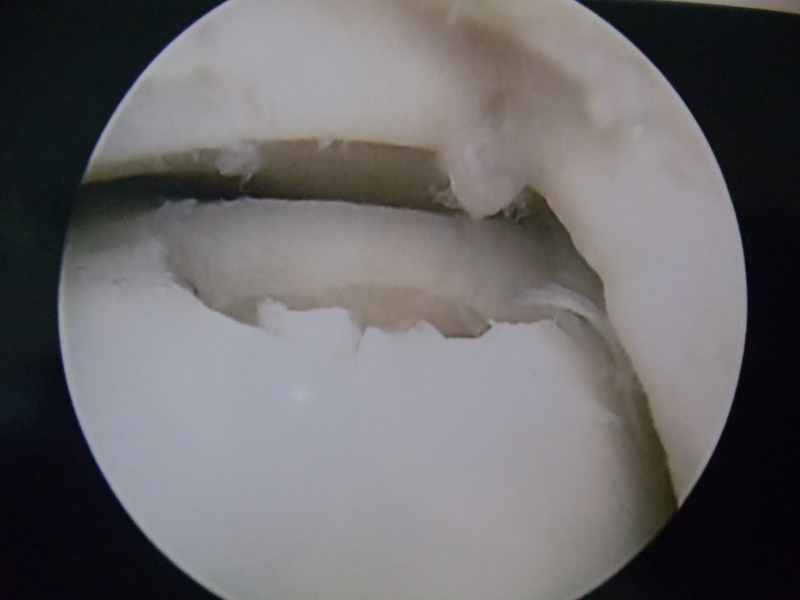 If the bones at the joint in question are not aligned properly, then this mechanically adds to the wear that the joint receives with activity and increases the propensity of this occurring. 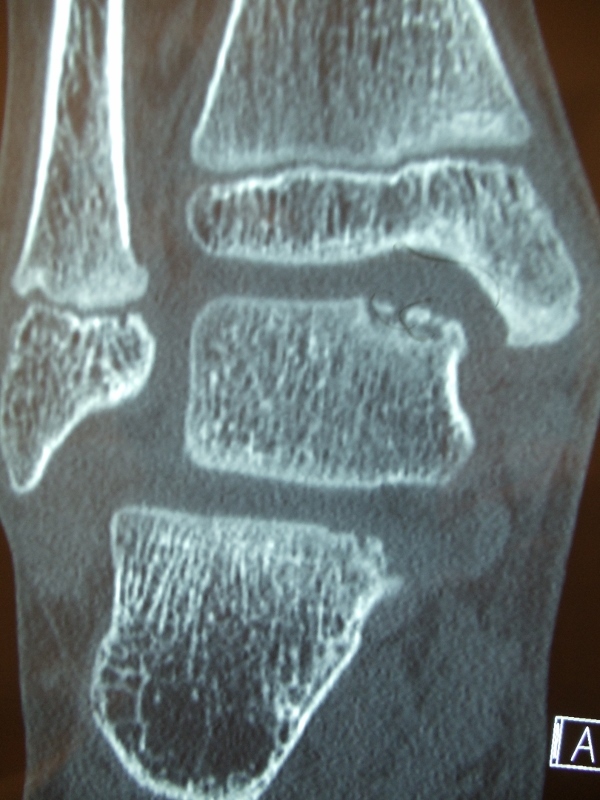 Pictured below is linear damage to the articular surface of the second metatarsal head. 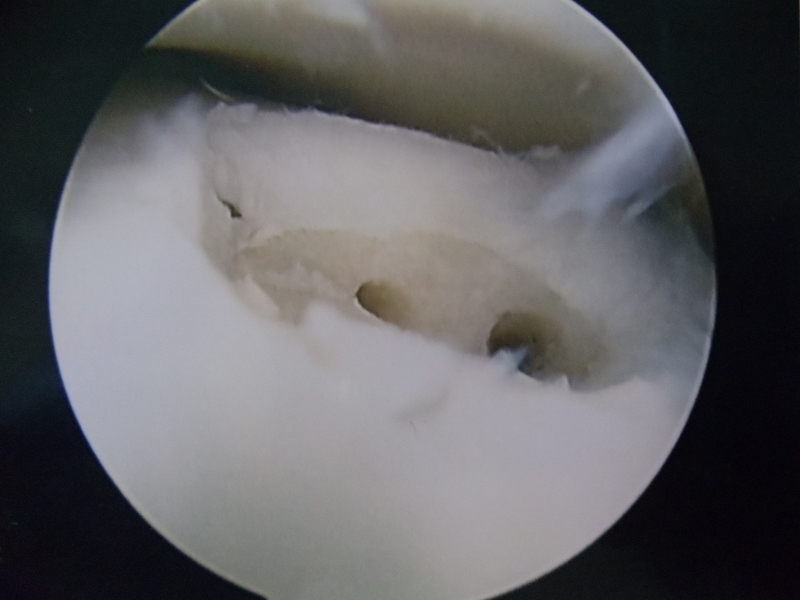 Drill holes are then placed through the bone plate to allow bleeding in the area, which will aide in healing of the cartilage surface with fibrocartilage, which is a kind of scarring of cartilage. 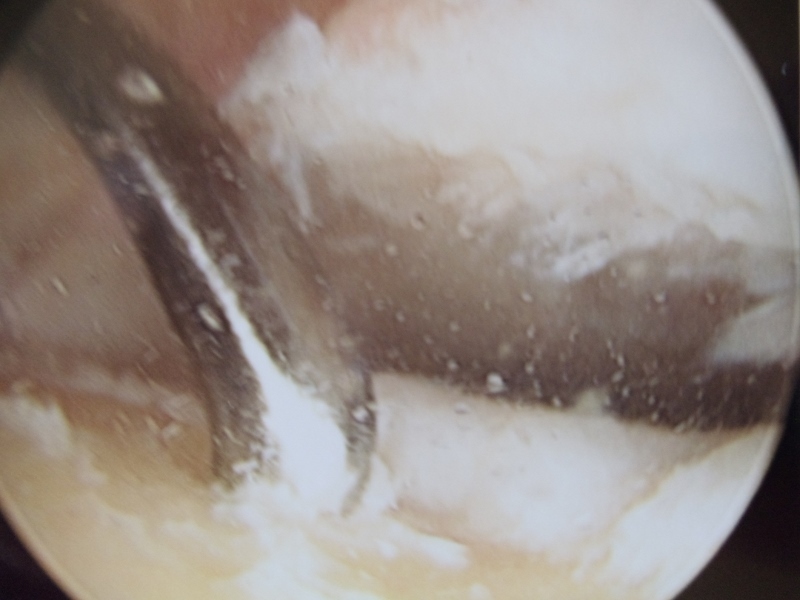 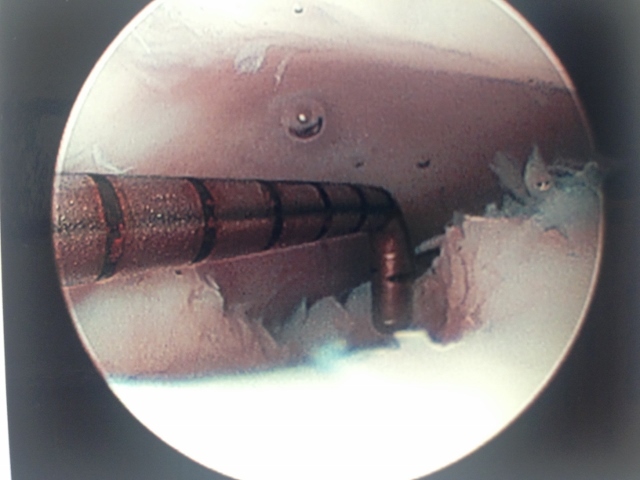 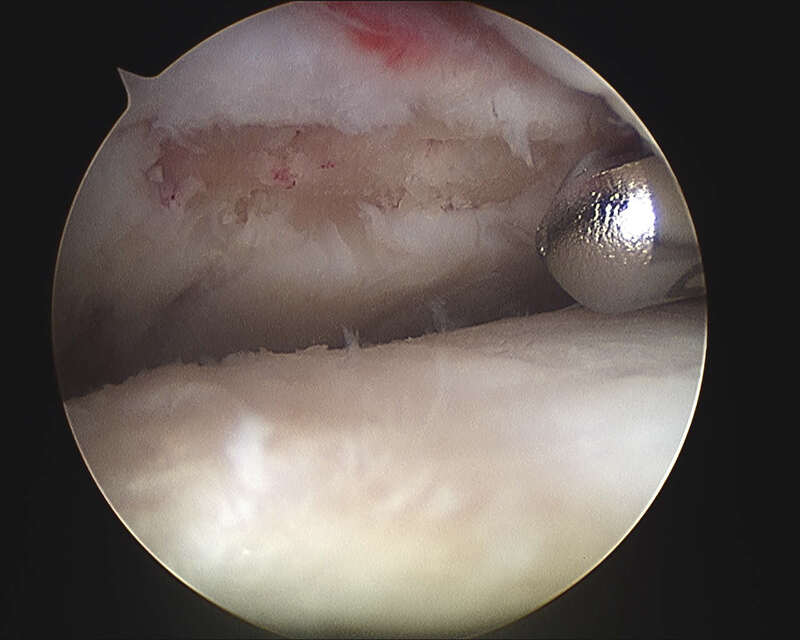 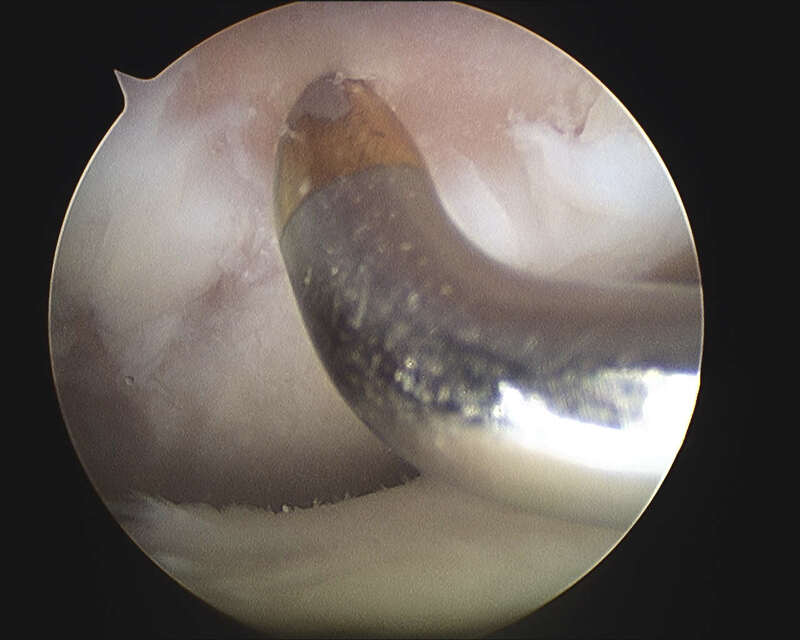 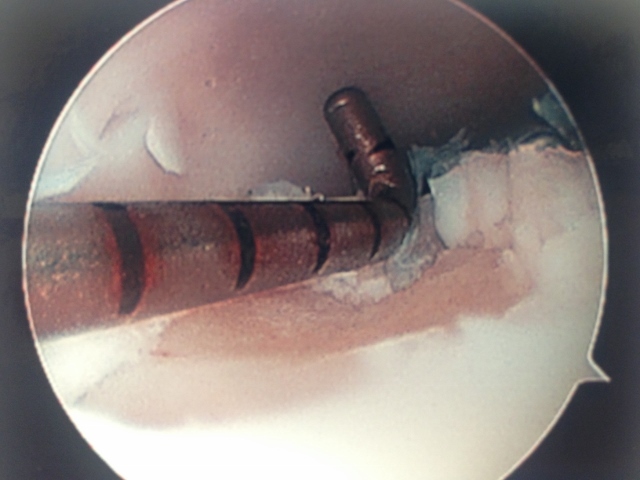 Microfracture/subchondral drilling of bone to stimulate fibrocartilage growth.